Launch of National Healthcare Quality Strategy (NQS). 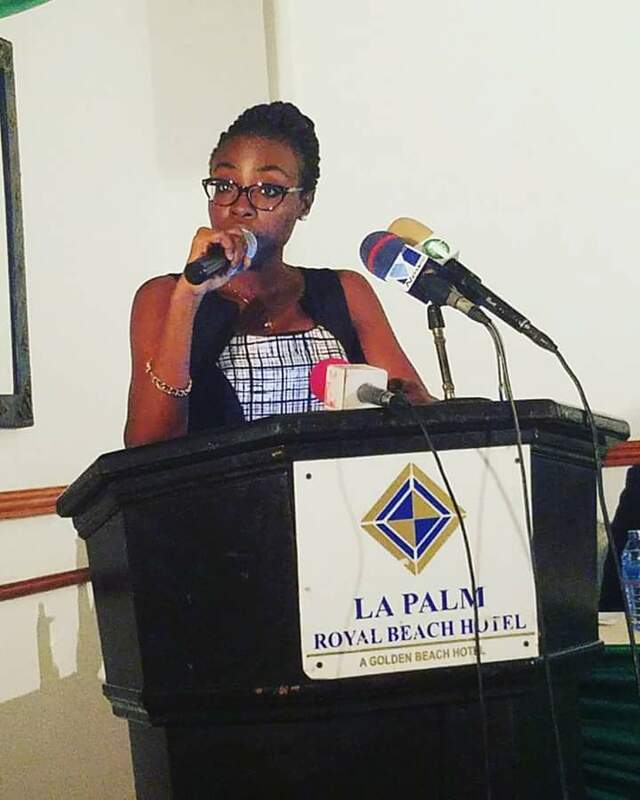 A SPEECH PRESENTED BY DR. SEFAKOR ENAM BANKAS ON “LISTENING AND HEARING THE PATIENT’S VOICE IN THE CARE PROCESS ALL THE TIME” ON THE OCCASION OF THE LAUNCH OF THE NATIONAL HEALTH QUALITY STRATEGY (NQS) AT THE LA PALM ROYAL BEACH HOTEL ON THURSDAY, 1st DECEMBER 2016. Mr. Chairman; Representative of the Honorable Minister of Health; Chief Director, Ministry of Health; Representatives of developmental partners, UNICEF, WHO, USAID etc. ; Local and international collaborators; Representatives of ministries, departments and agencies; Organized groups; Members of the media; Ladies and gentlemen. I deem it a great honor to be called upon to represent the voice of the patient on this momentous occasion. I speak for myself and many like me who suffer medical conditions for which constant interaction with health care providers and the health system is essential to maintain a somewhat acceptable quality of life. Mr Chairman, any effort to create a health system that seeks to place the client at the centre of care and ensure continuously improved, measurable health outcomes is laudable. Indeed, this vision is in tandem with basic medical ethical principles of autonomy, beneficence, non-malefeceince and justice. We only hope that the vision will be translated into actions within our lifetime. Mr. Chairman, I saw a kid die yesterday. It was a sad tale. A tale that exposed the lapses that plague our health system. It was wrought with several issues for which one might get upset and rightfully so. Yet, no specific reasons could be ascribed nor solutions prescribed. These were lapses that are certain to recur because nothing will be done about them. Lapses a person’s wealth can do nothing about. Lapses that keep 19 year old kids with Sickle Cell Disease dying in 2016 despite advancement in medicine and science. Systemic failures. I saw a kid die yesterday. He was smart, he was healthy, he was wealthy. He was most certainly dead. And then I wonder, when will I get caught up in this maze too? Mr. Chairman, putting me at the centre of healthcare involves ensuring that I have access to affordable, accessible, acceptable, fast and safe healthcare. My voice as a patient is of no use if I cannot access health care when needed. I speak of the thousands of persons living with Sickle Cell Disease in Accra who cannot access care on weekends or past noon on weekdays because the health services are unavailable. We will very much love to be heard, but first we request access to quality healthcare which ensures that we stay alive and speaking and engaging with our health care providers. Access to specialist haematologist care is even worse outside Accra. Of the 10 regions in Ghana, only 3 can boast of haematologists, who Mr Chairman, are located in the capital towns. We the people request your assistance in the training of specialists to cater to our specific health needs. We request for assistance for our brothers and sisters in the hinterland who will never access care beyond a CHPS compound or district hospital and plead that the capacity of such staff be built in the management of Sickle Cell Disease and the early detection of complications with a proper framework governing early referral of such cases. Mr chairman, safety. Safe health care is obtained in parts, through education at all levels. Education of students, staff to care for students with special needs, the general public, health workers etc. A holistic view of health care requires that we all collaborate to ensure good health for citizenry. It requires a firm collaboration between the Ministry of Health and Education for example to ensure that students with Sickle Cell Disease or diabetes have access to warm water for bathing and well preserved insulin respectively while in boarding school. That such students are protected from bullying and benefit from affirmative action where applicable. Safety is ensured when the Ministry of Health collaborates with the Ministry of Finance, various NGOs in health, developmental partners, health facilities, pharmaceutical companies, cooperate bodies etc to engage in activities such as the commemoration of WHO international days for conditions such as Malaria, Sickle Cell, HIV/AIDS etc to draw attention and work to protect persons living with them. Further, the WHO definition of health is instrumental in ensuring that the patient’s voice is heard in the care process all the time. A state of complete mental, physical and social wellbeing and not merely the absence of disease or infirmity demands that we ensure every person is protected from stigmatization. This may be achieved through a greater focus on health advocacy and the use of health ambassadors as well as a focus on comprehensive care which employs the bio-psychosocial model of care in meeting needs of clients, especially the psychological needs of persons with with chronic medical conditions. Mr chairman, National Health Insurance has been beneficial to patients, I testify to that. However, with current advancement in medicine, a lot more can be achieved beyond the basics. Life saving medication and vaccines such as the adult pneumococcal vaccine for person who have undergone autosplenectomies are no longer luxuries. They belong in the same category as our right to life, after all, some of them do secure that right. Mr chairman, persons living with Sickle Cell Disease suffer many complications, some of them preventable others, not so much. The cost of maintaining a reasonable quality of life with this condition is out of reach for many. From weekly full blood count (FBC) testing for patients on hydroxyurea to annual Blood Urea Electrolyte and Creatine (BUE&Cr), Liver Function Tests (LFT), echo, Hepatitis B and HIV testing for patients on chronic blood transfusion etc. some patients just opt out of continuous care because they simply cannot afford it. Only to return to the clinic with severe complications that require a lot more funds to manage. Mr. Chairman, the National Health Insurance Authority ought to consider vulnerable groups such as this and make necessary adjustments to assist us further. * My biggest challenge with the NHIS as an advocate is the exemption of Hb electrophoresis testing. Sickle Life seeks to educate and inform people about Sickle Cell Disease to empower them make informed life choices. These choices are not made in isolation. Every last one of them is made based on counseling delivered on the basis of Sickle Cell test results which unfortunately, the NHIS does not cover and the average person cannot afford. Mr Chairman, this is despite the fact that 1 in 4 Ghanaians has the Sickle Cell trait. Despite the fact that 15,000 babies are born annually with Sickle Cell Disease in Ghana. Despite the fact that education and early testing can reduce the incidence of Sickle Cell Disease in Ghana. Mr. Chairman, if ever I wanted my voice heard on something, this would be it. Sickle cell testing is simply too important to be exempted from NHIS coverage. Further, affordability of care comes in more ways than one. Removal of subventions adversely affects the health seeking behavior of patients as extra costs are invariably passed on to us. For non- communicable diseases such as sickle cell, diabetes and hypertension, continuous follow up makes a world of difference. We therefore plead for the reinstatement of subventions to assist in the management of these conditions. In conclusion Mr.Chairman, I’ll like to emphasize that we the people make up the health system. We the people can be the change we want to see in our health system. We can plug the loop holes. We can ensure quality health care. We can listen and hear the voice of the patient. We speak of quality care. We speak of hearing the patient’s voce. Hopefully we shall speak no longer of 19 year old kids with Sickle Cell Disease dying due to systemic failures. I saw a kid die yesterday. He was smart, he was healthy, he was wealthy. He was most certainly dead. *The National Health Insurance Authority submitted that, Hb electophoresis testing is currently covered under the scheme and could not be blamed for service providers refusing to test clients. Granted, this test may be listed under eligible procedures and tests, however the reality is that clients are unable to access it under the scheme at multiple health facilities. To truly meet the needs of the clients the funding required to back these stipulations must be provided in a timely manner. I’ll like to acknowledge the amazing team of Sickle Life volunteers who have been with me on this journey to create awareness about Sickle Cell Disease and who keep making sacrifices to ensure we achieve our aims. Mr. Michael Torgbui, a person living with Sickle Cell Disease, who provided many suggestions during the preparation phase, the President and Public Relations Officer of the GHANA SICKLE CELL ASSOCIATION for their assistance in preparation of this speech and Dr. Olayemi, the Head of Department of Haematology and Sickle Cell Clinic, Korle-Bu Teaching Hospital for his immense assistance. 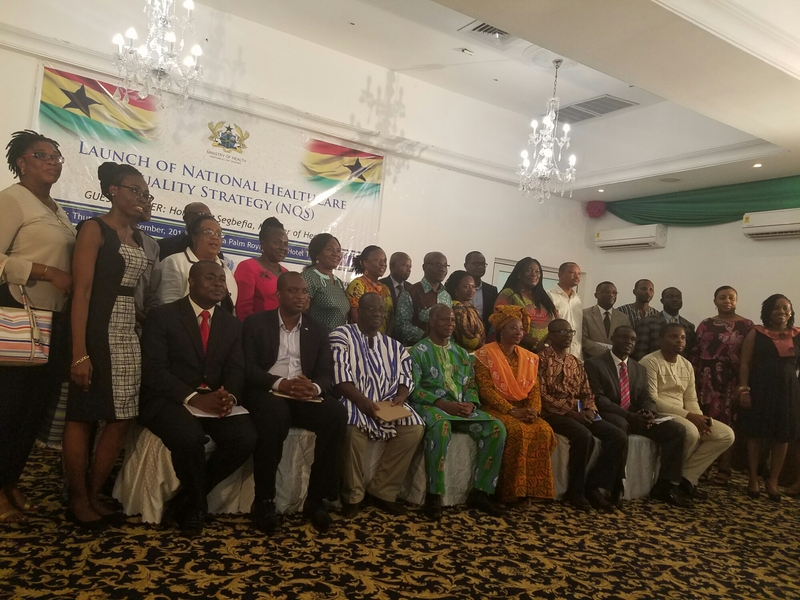 This entry was posted in Blog, News/media and tagged Ghana, Ministry of Health, National Quality Healthcare Strategy, sickle cell awareness, sickle cell disease, Sickle Life. Bookmark the permalink.